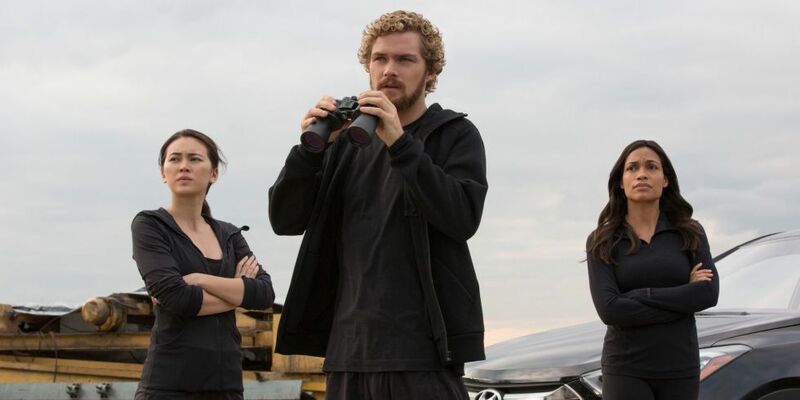 With critics hating it and fans loving it I have decided to break Iron Fist down and have a look at this series and see what it has to offer the MCU. Before you criticise me for what I am about to say, I am going to borrow this wisdom from the series; ” that we can only see truth when we forget opinions”, as for what follows I am sorry if I offend as it’s not my intention and there will be spoilers, so sit back and strap in. Before I go on with this I want to address the elephant in the room. Iron Fist is not racist nor is it a white saviour series. I warned you in my intro that there will be spoilers here so sorry once again but here we go. Yes Danny is a millionaire, who is white, is this such a crime and yes he was raised in a mystical Himalayan sanctuary, but it should be noted that we have only seen 4 people from his second home and between them we have seen two distinct ethnicities. This does not alleviate the white saviour role that Danny has been accused of, I am well aware of it, but it helps put some context into K’un-L’un and maybe this is a place where what you are does not matter, unlike in our world where this is all that matters. Yes Danny is white, I cannot help that the character is written as white and it helps drive his fish out water story, it even helps define his constant naivety. While living in the real world he was a privileged white boy and after that he spent fifteen years in isolation, the fact that he is so naive is his most enduring trait, in fact our favourite MCU nurse mentions that this is his best trait. Danny’s possible surrogate family is one of the early driving forces for the show. The series has been called by some sources as very unoriginal, but I am going to argue against that. The origin story is at this point hard to pull off, its become a cliche and it’s hard to tell the story in an original way, but here the Netflix series have found a loop hole, when we meet our heroes they already have their powers and we only see through flash backs what helped create them. Where Daredevil, Luke Cage and Jessica Jones are all dark and brooding Danny is anything but this. He is all sunshine and smiles, he is optimistic and hoping for the best in the world, it’s only when bitten we see how fragile he really is. This fragility is anything but a weakness where the other Netflix heroes and even several Avengers merely cope with their darker sides, Danny finds a way to fight through it and become who he is supposed to be. Having Gao back was one of the show’s great highlights. One of the major themes that this series has is identity in both who you are to the world and who you are to yourself. 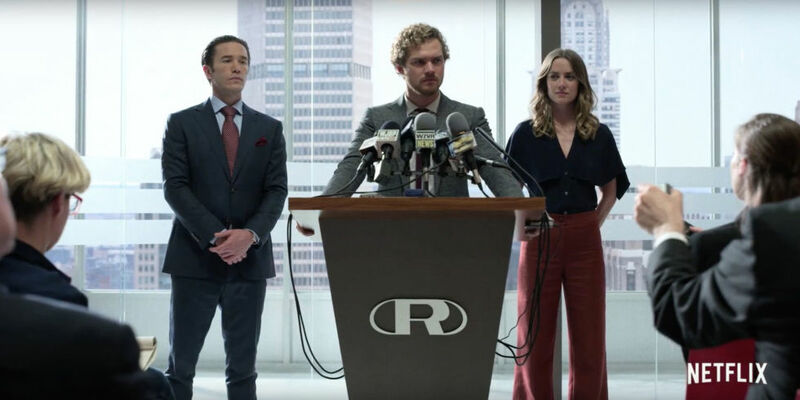 Danny struggles to prove to the world that he is Danny Rand, which in itself is terrifying, we know he is telling the truth but what proof does he have, it even mentions that he has few if any actual options. While our warrior protagonist battles to prove who he is to the world he faces the bigger struggle of who he is to himself. Danny himself even says that ‘man’s only purpose is to find his purpose.’Danny’s struggle to discover his own identity is another one of the major driving forces of the series. He finds himself a weapon without a master, he is caught in a war he really has no place in fighting, a war where black and white may not be as distinguishable as we the viewers originally thought. Harold Meachums slip into madness was at times truly terrifying. Beyond the self family is the other over reaching theme of this series and one might argue all of the Netflix series, all of our heroes struggle to find a family, Daredevil has his father issues with Stick, Jessica has her adoptive sister, Kilgrave and his parents, Luke and his entire family and even Elektra had family issues, to think if these people where treated a little better things would have turned out really differently. Here is no different as Danny longs to find a family, he returns home to hopefully reunite with his father’s best friend and the kids he grew up with only to be spurned at every turn, even going to them he has to leave behind an adoptive brother. Colleen herself is in search of family, her choice to join the hand and recruit for them stems from her need to have a family and protect them. What would our hero be without a truly great villain and I admit that this is where our series kind of falls flat. 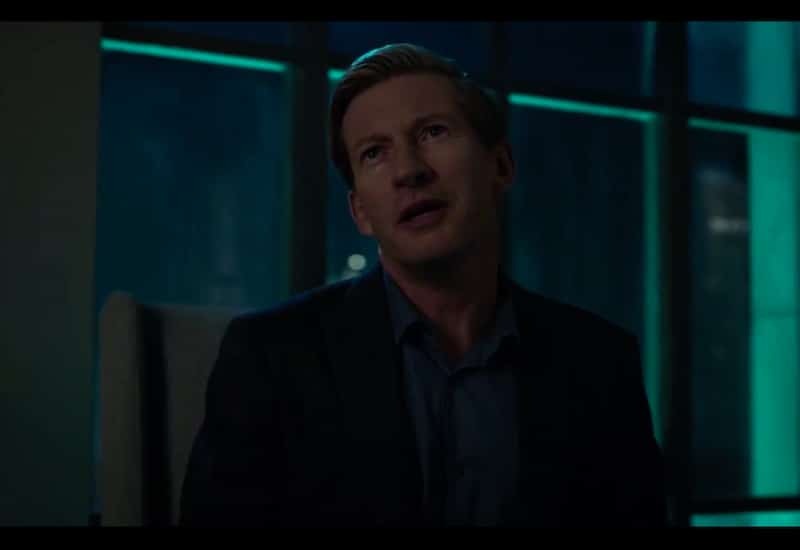 Let’s start with the Meachum’s at first they came off as very one dimensional especially Ward but over time both the children grew and developed, as for their Father his insanity and madness only increased with a strong performance by David Wenham, I feel like he would have been a better villain for a second season especially with his dwindling sanity. As antagonists go these three where interesting, sometimes they helped Danny and other times they tried to destroy him. Through the moral grey area they lived in the main villains are firmly in the dark. 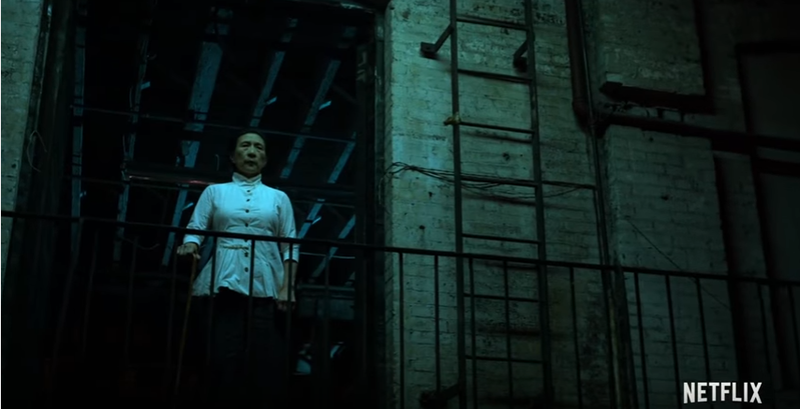 Let’s start with Madame Goa, since season one of Daredevil we have loved this women, she is terrifying and confident with an incredibly strong performance by Wai Ching Ho, you know this women will kill you, probably with a smile, but unlike other villains, she is going to tell you well in advance. On the other hand you have Bakuto originally a man from South America, at least in the comics, he is more sly and devious using the hand as a cult not a criminal empire. This series has shown that the hand has its weaknesses in its internal power struggles. My only issue is they had some great assassins to use and they barely scratched the surface, like with The Bride of Nine Spiders, her appearance was fleeting at best, hopefully they will be back for more fights soon. The Bride of Nine Spiders, a devastating character in the books was put out far too soon. I have seen some other sources say that the fights are boring and fall flat, to me this is an insult and is the opinion of someone who is not exactly a fan of classic martial arts films. The episode Immortal Emerges from Cave, is a total homage to Bruce Lee’s classic Game of Death, where a lone protagonist is forced to battle his way through several different fighters all with unique techniques, it was an especially nice touch having RZA direct this episode since he is a huge Bruce Lee fan. While The Blessing of Many Fractures has an entire fight sequence in tribute to Jackie Chan’s Drunken Master. As for the the rest of the fights they are well choreographed and try not to rely too heavily on quick cuts. 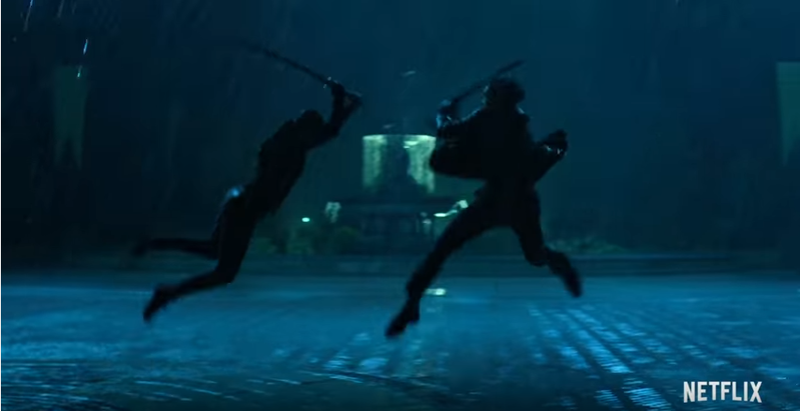 the series has its fight often compared to Daredevil, the Daredevil fight style is unique because it’s designed to show off his unique view of the world, that and because he wears a mask it means that stunt doubles can be more easily used. This is a series that never forget its roots, it periodically reminds us of the world it’s set in, with recurring villains, recurring secondary characters, references to the incident, Luke Cage, Daredevil, Jessica Jones and so much more this is a great Marvel show and I feel that a lot of the hate was wrongly focused on it. To call the series racist is a bit of a stretch, to say that all the villains where coloured and all the heroes white, is stupidity of the highest level, to call the fights clunky and dull means you missed the show down in the park or the drunken fight, to call it unambitious and not topical means you’re a snob, this was a well filmed show, with some great cinematography and in the end it was fun, is there anything wrong with a series being fun? I think people are too caught up with the gritty modern hero these days, what’s wrong with having a little variety in our lives. On the other hand if the Marvel fans want more Asian heroes then they should pick some of the ones that already exist, like the excellent Jimmy Woo, the awesome Amadeus Cho, maybe Give Hogan of the warriors 3 a spin off or Bring in Nico Minoru. I do not disagree that Marvel needs more variety in their casts, but they are taking positive steps in the right direction, Iron Fist is not a step backwards, like many are accusing it of.